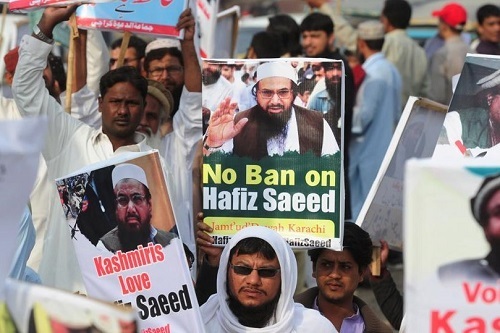 Saeed is often referred to as the Bin Laden of Pakistan due to him heading a terrorist organization that aims to liberate Kashmir. The organisation was banned by the US, the EU, the UN Security Council, Russia, India, Australia and Pakistan too, but at present he is merely the leader of a charitable organization, the Jamaat-ud-Dawah (JuD) – the “Group of Preaching” – one of the largest welfare NGOs in Pakistan, with over 2,000 offices nationwide and a reputation as an earthquake and flood relief agency; however, adversaries still consider it as the pretentious face to continue Lashkar-e-Taiba’s militant activities in concealment. Many of us have turned a blind eye to the list of philanthropic initiatives that Jamaat-ud-Dawah has to date taken to retrieve the lost prosperity of this nation- once considered as the responsibility of the state government. To mention, JuD runs almost 140 schools throughout the country, providing free education, uniforms and books for orphans and under-privileged members of society. Moreover, they have opened the gates for thousands of students to acquire technical education offering basic skills needed to work, as well as higher academic institutes to dispense quality education. In the medical field, JuD has all alone managed to build state of the art hospitals in Balakot, Mansehra, Muzaffarabad, Gujranwala, Lahore, Muridke, Hyderabad and Karachi, along with 98 ambulance fleets complementing dozens of blood-banks. Hundreds of medical dispensaries at different locations throughout Pakistan are dispensing free of cost medicines to elevate health care standards by catering to almost hundreds and thousands of patients each month. Furthermore, JuD has always ensured its full support at times when the country was struck by catastrophes. From 2005 to the 2008 Ziarat earthquake and the worst floods ever experienced in consecutive years, 2010 and 2011, it remained the foremost organization, along with the Pakistan army to dispatch their thousands of volunteers to affected areas, equipped with boats and other required aid to rescue the stranded affectees. Millions were provided with ready meals round the clock and families were given additional subsistence on a monthly basis. In addition, tent villages and shelters were erected to house hundreds of homeless in the rehabilitation phase, which continued for years, thus earning them the praise of many international aid organizations. Amongst JuD’s numerous services, its exemplary gesture to assist the government of Punjab in their de-radicalization plan, their consistent denouncement to support militant acts of terrorism, in addition to their efforts to produce thorough research and profound arguments on the ethics of jihad in the contemporary world; condemning all kinds of violence and terrorism. However the aforementioned attempts have failed to exonerate Saeed internationally. In January he was put under house arrest by the Pakistani government to keep him from collecting funds for his charitable organization in violation of the United Nations resolution. Jamaat-ud-Dawah’s attempt to gain legitimacy at the time when the country’s government is coerced to take stern action against it from the United States and groups like the Financial Action Task Force, which tracks terrorist finance. But to the contrary, in the north-west of Pakistan- Afghanistan has welcomed with open arms a fugitive Afghan warlord and former ally of al-Qaeda and the Taliban-Gulbuddin Hekmatyar– at its presidential palace after signing a peace deal with him, despite his unjustifiable return to his home city this year, which he had once showered with rockets. Hekmatyar is also known as the Butcher of Kabul and the leader of the Hezb-e-Islami militant group, which directed random shelling on civilians, targeted killings of intellectuals, and disappearances of political rivals, his followers also accused of throwing acid at women, thus he had once been declared as a global terrorist like Hafiz Muhammad Saeed and was placed on the lists of internationally wanted persons for years but, since his return to Kabul in May, he has met high-ranking diplomats of the EU, US and NATO ambassadors to assimilate into mainstream politics. He was once considered to be a hero, when back in the 1980s he received more US assistance to fight against the Soviet invasion than any other Mujahideen and for many Afghans Hekmatyar is a champion who later turned against his former American sponsors, supporting and mobilizing attacks on US forces and civilians in Afghanistan. He had the audacity of claiming to have helped Osama bin Laden in escaping the Tora Bora mountains after 2001. The recent peace deal includes UN consent to remove Hekmatyar from its sanctions lists and the European Union has committed £2.69m to implement the deal, accounting for ad-hoc demands also. The question in doubt is the involvement of Hekmatyar in mainstream politics with the staunch support of western powers, but then why is Hafiz Muhammad Saeed left isolated to bear the international sanctions and the country’s wrath by its Western influenced minds without offering any compromise or a peace deal? However, if seen from the contemporary perspective, then both have been involved in the transgressions to earn their respective countries a place on the watch list, but one has diverted and the other is at a standstill to continue his endless journey. 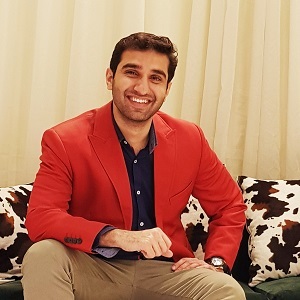 Mohsin Saleem ullah reports for Fox News and is a freelance columnist of a leading English newspaper in Pakistan.